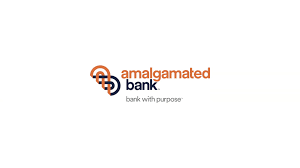 Summary: Amalgamated Bank is a union-controlled enterprise whose assets make it invaluable to a movement that is struggling to maintain money and membership. That explains unions’ vicious in-fighting to control it. The battle over Amalgamated Bank has been won, and the winner is the Service Employees International Union (SEIU), the vanguard among unions for Obama-style “Progressives.” The story of SEIU’s victory is one of politics and betrayal and high stakes: control of one of the crown jewels of the labor union movement. Amalgamated Bank is the nation’s only bank owned entirely by unions. It gives left-wingers access to cash, and it also gives them a friendly place to park their accounts (which, critics note, are often questionable). The bank provides “business” support for projects ranging from the Obama inauguration to the Occupy Wall Street movement. Through its management of pension funds, it gives the Left the opportunity to harass businesses that, in their view, support their enemies. What happened with Amalgamated Bank is a symptom of the dire predicament of unions outside of the government. As unionism in the private sector dies, unions in that sector are becoming increasingly desperate. In the manner of tribal warlords facing each other across a disputed border, unions are feuding, forming temporary alliances, and then stabbing each other in the back over matters big and small. They are turning on each other, raiding each other’s territory for members and dues money and fighting over assets such as bank accounts and real estate. The conflict that put Amalgamated Bank in the hands of the SEIU began with the 2004 merger of two unions, UNITE and HERE, into a union called, not surprisingly, UNITE HERE. They were two unions in two very different industries, textiles and hospitality. UNITE (headed by a man named Bruce Raynor) was the Union of Needletrades, Industrial & Textile Employees; HERE was the Hotel Employees & Restaurant Employees union. In an earlier era, unions tended to merge with unions in the same or related industries, but today, unions in very different industries are combining out of necessity, for survival. The merged union had a reported 440,000 active and 400,000 retired members. The merged UNITE HERE then withdrew from the nation’s largest union organization, the AFL-CIO, and joined the Change to Win Federation, a coalition that included the Teamsters, the United Food and Commercial Workers, and the Service Employees International Union (SEIU). The UNITE HERE merger was part of the trend of inter-industry mergers, but it also had a symbiotic logic of its own. Over the last couple of decades, UNITE saw its membership fall as textile manufacturing companies moved to other countries. HERE fared better, since hotels and restaurants, like most service industries, cannot be outsourced. What did UNITE have to offer HERE? Quite simply: money, via its control of Amalgamated Bank. The bank was founded in 1923 by the Amalgamated Clothing Workers of America, which (through a series of mergers between textile industry unions) became UNITE. It was one of at least 36 union-backed banks founded in the 1920s. Amalgamated Bank is a national bank, headquartered in New York with branches in California, Nevada, New Jersey, and Washington, D.C. In 2009, Andrew Stern, then head of the SEIU, wrote a letter to the heads of UNITE HERE: Bruce Raynor, who had been head of UNITE, and John Wilhelm, who had been head of HERE. Stern declared that the merger had failed and suggested UNITE HERE merge with SEIU. The Organizing Group, led by former AFL-CIO political director Steve Rosenthal, organized mailings and robocalls to sell the secession plan to union members, and set up a website for Raynor’s new union, Workers United. On March 6, 2009, Raynor ordered several wire transfers, totaling around half a million dollars and supposedly for “reimbursement of expenses,” to several locals loyal to him. The next day, those locals voted to secede from UNITE HERE. Raynor’s breakaway faction (roughly, but not exactly, the former UNITE) became Workers United, with an estimated 105,000 to 150,000 members. The remaining faction continued on, keeping the name UNITE HERE even though most of UNITE was gone. UNITE HERE then re-joined the AFL-CIO. A few weeks later, UNITE HERE held a protest outside SEIU’s Washington, D.C., headquarters, at which it claimed it had 300 people. SEIU accused UNITE HERE of suppressing dissent and of trying “to raid Workers United and SEIU” for new members. That Purple Knight: Andy Stern and the SEIU. Under a July 2010 “divorce” agreement, UNITE HERE got the union’s New York headquarters, while Raynor’s Workers United—by then part of SEIU—retained control of what really mattered: Amalgamated Bank. Raynor’s victory was short-lived. In March 2011, SEIU’s leadership filed internal charges against Bruce Raynor, for allegedly misreporting approximately $2,300 in meal expenses. 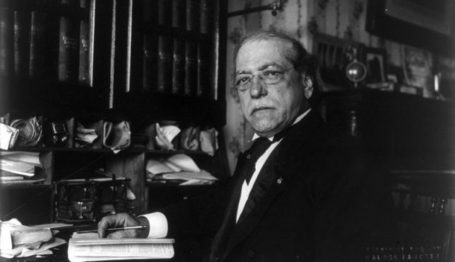 Subsequently, Raynor announced that he would resign the presidency of Workers United and reimburse the money. After leading one of the biggest fights over union assets in recent years, Bruce Raynor, in a denouement befitting a Greek tragedy, ended up seeing his tenure undone over $2,300. In September 2011, two private equity firms—W.L. Ross, controlled by renowned investor Wilbur Ross, and the Yucaipa Companies, controlled by Rob Burkle, a major Democratic Party donor with close ties to former President Bill Clinton—each paid $50 million for a 20% stake in Amalgamated Bank’s privately controlled stock. The bank needed this infusion of cash to boost its capital, after both the Federal Deposit Insurance Corporation (FDIC) and New York State Banking Department had cited it as being dangerously undercapitalized. Another likely reason for Amalgamated’s plight is the flight of deposits from unions loyal to the AFL-CIO to protest UNITE HERE’s secession from the labor federation. As of January 2013, Amalgamated reportedly had $7 billion less in assets than when it came under SEIU’s wing. What did SEIU get out of its machinations? The bank’s assets, of course—but also control over SEIU’s second largest creditor, which happened to be Amalgamated Bank. (SEIU’s biggest creditor is Bank of America, to which it owes a reported $80 million, in large part for the purchase of its headquarters building in Washington, D.C.) There’s nothing like controlling the bank to which you owe money. In September 2012, Amalgamated Bank approved a $15 million loan to SEIU. That was money that SEIU needed. SEIU’s net assets fell by more than half, from $76 million down to $34 million between 2004 and 2008, according to David Moberg of the leftist magazine In These Times. As the New York Daily News’ Juan Gonzalez noted in April 2009, SEIU “has been burning through cash,” including spending $67 million during the 2008 election cycle to help elect Barack Obama to the presidency. In other words, shareholder resolutions that do not improve investment performance represent a waste of time and a violation of a pension manager’s duty to protect the pension assets of ordinary workers. Yet Amalgamated has never shied away from introducing such politics-focused measures. The Navigant study lists 12 resolutions introduced by Amalgamated between 2009 and 2012. Two are worth highlighting. One is a June 2010 resolution at WellCare Health Plans, a Tampa-based company that provides Medicare and Medicaid managed healthcare plans. The resolution called for disclosure of the company’s political contributions, which go mostly to Republicans. Specifically, Amalgamated sought to reverse a change in company policy whereby shareholders must show “cause” to remove directors. What makes this resolution interesting is the timing, as it came at the first Whole Foods shareholder meeting following the publication of a Wall Street Journal op-ed by Mackey. Mackey’s piece, which promoted a free-market approach to healthcare and opposed Obamacare healthcare rationing, led to attempts by people on the Left to organize a boycott of Whole Foods. The resolution was seen as an attempt to intimidate Mackey—and any other corporate official who might warn Americans about the effects of Obama administration policies. 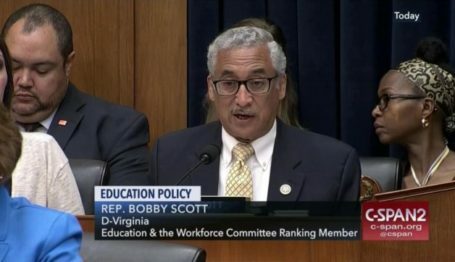 In August 2012, some prominent Democratic and Progressive groups—including the Democratic National Committee, Democratic Governors Association, and America Votes—began shifting accounts, or at least parts of them, from Bank of America to Amalgamated Bank. By the time that the Occupy Wall Street movement moved its assets to Amalgamated, it had become something of a cause for people on the Left to use Amalgamated. President Barack Obama’s second inauguration in 2013 featured a new, important sponsor: Amalgamated. With $3.8 billion in assets, the bank helped the Presidential Inauguration Committee manage its cash flow. Committee chief executive Steve Kerrigan said in a release, “We are proud to partner with Amalgamated Bank, an organization that shares our commitment to supporting America’s working families and small businesses.” For Amalgamated, securing the business of Obama’s inauguration committee could be seen as a culmination of a trend that saw it established as the preferred bank of the American Left. Shifting deposits to the union-owned Amalgamated Bank has become a leftist cause célèbre. However, Amalgamated’s recent history, including the bitter struggle over its control, runs counter to the Left’s portrayal of Amalgamated as an oasis of virtue in the otherwise corrupt world of finance. Today, Amalgamated Bank is controlled by the powerful Service Employees International Union, which gained control over the bank as a result of a protracted union civil war. SEIU’s head at the time, Andy Stern, is a political heavy hitter who visited the White House more than anyone else in the first year of the Obama presidency. The struggle over the control of Amalgamated illustrates the degree to which unions are willing to go to preserve their influence. UNITE HERE was the result of the 2004 merger of two unions representing workers in two unrelated industries. Such cross-industry mergers are a sign of union weakness. They have become more common in recent years, as private sector unions seek to reverse—or at least slow—their decline in membership. Why did the merger between UNITE and HERE fail? Different organizational cultures may have had something to do with it. Chief among their differences may be organizing strategy. Raynor cited a failure to organize new members as a reason for his frustration with the merged UNITE HERE. Wilhelm, on the other hand, claimed that Raynor sought membership at any cost, and would willingly give away a lot in negotiations as long as that resulted in new members’ paying dues. SEIU’s ambitious former chief, Andy Stern, saw in Amalgamated Bank a lucrative new addition to his growing labor empire. This ultimately raises the question: How far will the SEIU go in its quest for power and influence? David Agnew is the pseudonym of a writer/analyst in Washington, D.C.
More than a dozen organizers said in interviews that they had often been pressured to detail such personal anguish—sometimes under the threat of dismissal from their union positions—and that their supervisors later used the information to press them to comply with their orders. It’s extremely cultlike and extremely manipulative,” said Amelia Frank-Vitale, a Yale graduate and former hotel union organizer who said these practices drove her to see a therapist. Several organizers grew incensed when they discovered that details of their history had been put into the union’s database so that supervisors could use that information to manipulate them. UNITE HERE President John Wilhelm denied that pink sheeting was common, and denounced “the organized campaign to condemn it” (as Times reporter Steven Greenhouse described it) as an effort by SEIU to discredit UNITE HERE. Bruce Raynor, former chairman of Amalgamated Bank, got his baptism-by-fire as a union organizer with the textile workers in a Saul Alinsky-style “corporate campaign” that became one of the most famous in the history of business and labor. Hollywood paid tribute to the campaign with the film Norma Rae. Beginning in 1963, the Amalgamated Clothing Workers of America attempted, with little success, to organize a company known as J.P. Stevens. Then, in 1976, ACWA merged with the Textile Workers Union, and the newly created ACTWU launched its corporate campaign against the company. Today part of WestPoint Home, a supplier of bedding, linen, and other textiles, J.P. Stevens was a textile company that employed many workers in the Deep South. ACTWU promptly launched a campaign of harassment against J.P. Stevens, pressuring financial institutions to deny funding to the company and enlisting prominent clergymen, politicians, and civil rights leaders (including Coretta Scott King) to denounce the company. At shareholder meetings, church groups introduced resolutions to change the company’s labor practices. In 1977, 4,000 protesters marched outside the annual shareholders meeting, forcing the company to move such meetings from New York to South Carolina. Boycotts, including sit-ins, were organized at major retailers such as Woolworth’s. Later that year, the ACTWU focused on Metropolitan Life Insurance Co, which held $97 million in Stevens company debts. The union’s implicit threat was that, unless Metro Life pressured Stevens to capitulate, it would run two dissidents for the company board, which would force Metro Life to spend hundreds of millions of dollars to arrange an election and defeat the union candidates. In 1980, Stevens caved, signing a contract with ACTWU. It was a watershed for efforts to unionize the textile industry in the South, at least until much of it packed up and moved to Asia. 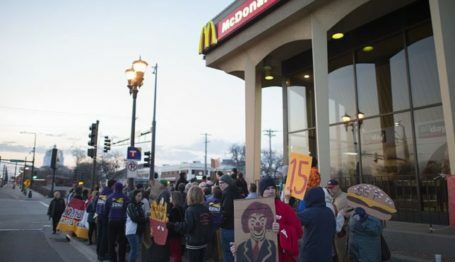 Today, the ultimate objective of a corporate campaign is less about improving plant conditions or improving workers’ wages than about forcing the employer to bend to its will.